Some legacies begin with legends. In 1958, Hanns Kornell introduced the French champenoise method to California. He produced this famous sparkling wine from the historic Larkmead Winery, originally built in 1884. 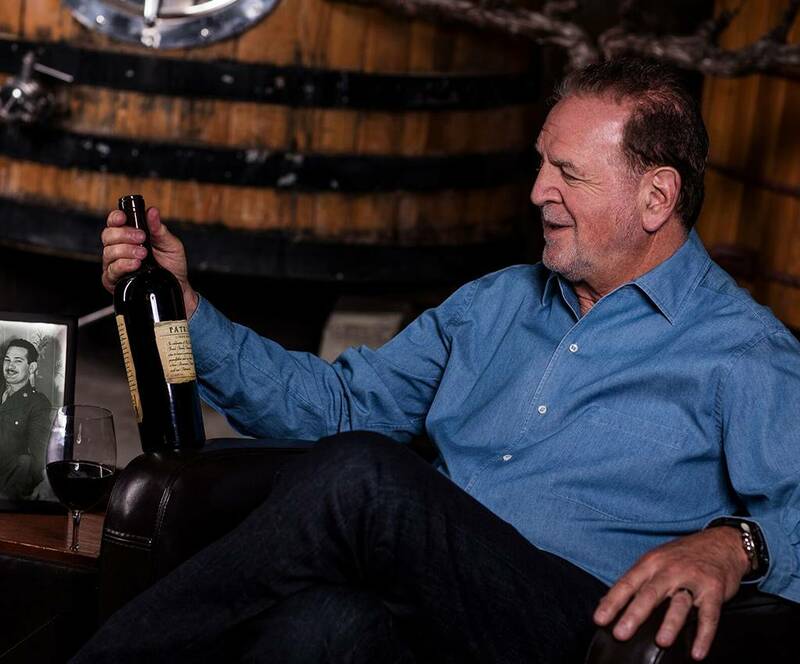 Years later, in 1992, Rich acquired the storied winery after the purchase of a classic Tudor home in Napa Valley’s Rutherford AVA and recognized the potential for something great—again. A continued preservation of history led to the unfolding of something new. 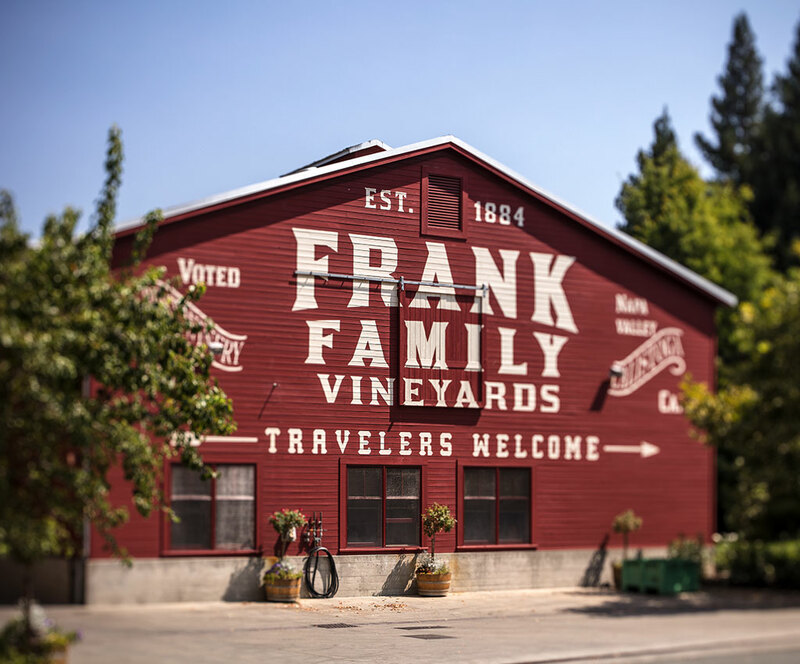 Established in 1884, this historic winery eventually grew, with a little luck and a lot of savvy, to become Frank Family Vineyards. Thick stone walls mark a place in time. First constructed in 1884, and refinished with native sandstone from the nearby hills in 1906, the iconic Larkmead building is now considered an archetype of California’s wine country—appearing on the National Register of Historical Places and listed as a Point of Historical Interest in the state of California. Like its earlier days, the building is filled with high-stacked barrels and a rich bouquet of aging wines, creating an ambience of days past with the promise of future vintages. 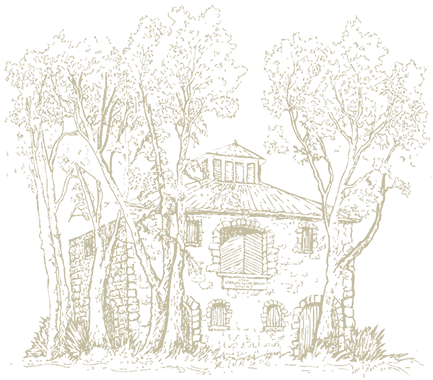 Though once home to only sparkling wines, Frank Family Vineyards honors the building's history by continuing to hand-craft five sparkling wines using the traditional French champenoise method, in addition to producing superb still wines. 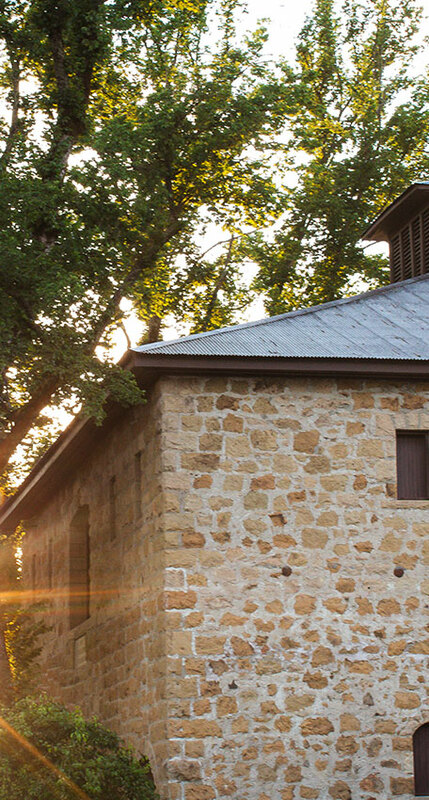 It's the third-oldest winery built in Napa Valley, and in many ways, still feels like it once was. We take great, personal pride in the making of each of our wines. But in 2015, we released an incredibly special, personal vintage. 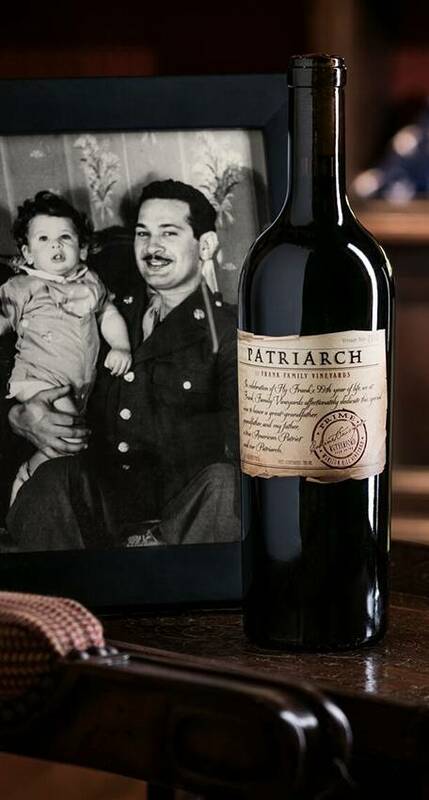 The award-winning Frank Family Vineyards Patriarch is a limited-release Cabernet Sauvignon, made with grapes sourced from the Winston Hill vineyard in Rutherford, and in honor of Rich Frank's 98-year-old father and World War II veteran, Hy Frank. As a man who lived his life expecting no more than what his own efforts brought, Hy's ethics, hard work, and discipline exemplify the strong fabric of family, community, and country. Born to immigrant parents from Lithuania, Hy enlisted in the United States Army at the height of World War II, leaving behind his wife and 10-month-old son. Hy was deployed to Normandy and landed on Omaha Beach four days after D-Day. He drove support vehicles for the First Army and General George S. Patton's Third Army as the troops moved from town to town liberating the French. At the end of the war, Hy returned to his family in Brooklyn, New York and founded Heide Meat Company, which he operated successfully for 30 years, providing the means to send his first son, Rich, to university. Rich later developed an incredibly successful career in entertainment, thanks in great part to his father's dedication, values, and hard work. Rich presented the first release of Patriarch to his father on his 98th birthday. Our interest in wine has grown from a passion into a business, where hard work in the vineyard pays off in the bottle. We produced just 200 cases in our first year and now produce nearly 75,000 cases a year. In 2015, we also received Napa Green certifications for both land and winery. 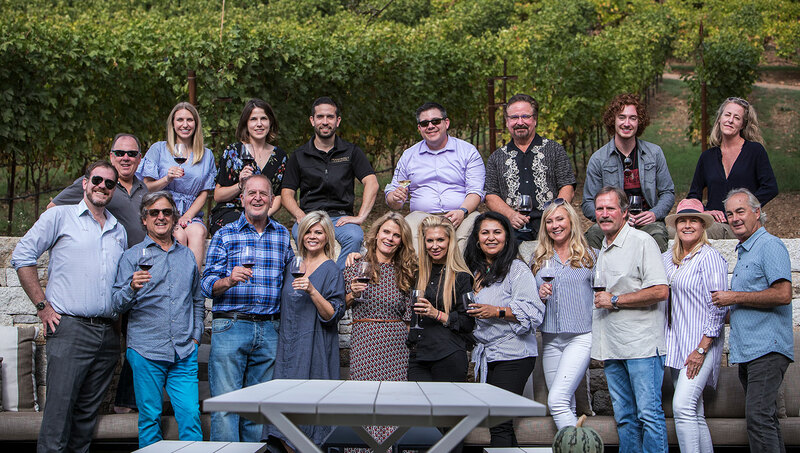 Frank Family Vineyards began because Rich wanted to create something for his family. Now, we want all visitors to leave the winery feeling overwhelmed by the experience, left with a connection to the place because of the interactions with our people.